Manipulate Office documents anywhere, any language and any platform. Simply send a REST API call to manipulate Word, Excel, PDF, PowerPoint, Outlook and more than 100 other file formats in any type of application. Enable your applications to manipulate more than 100 file formats. Includes all of our individual products. Aspose.Words CloudAspose.Words Cloud's platform independent document manipulation API is a true REST API that can be used with any language: .NET, Java, PHP, Ruby, Rails, Python, jQuery and many more. You can use it with any platform — web, desktop, mobile and cloud to modify and convert documents in the cloud. Aspose.Cells CloudAspose.Cells Cloud is a platform independent - true REST API for modifying, managing and converting Excel spreadsheets over web, desktop, mobile and cloud platforms. It can be used with .NET, Java, PHP, Ruby, Rails, Python, jQuery and many other languages. Aspose.PDF CloudAspose.PDF Cloud is a platform independent - true REST API for creating PDF files over web, desktop, mobile and cloud platforms. It can be used with .NET, Java, PHP, Ruby, Rails, Python, jQuery and many other languages. Developers can easily read, write, convert and manipulate PDF documents on the cloud. Aspose.Slides CloudAspose.Slides Cloud is a unique PowerPoint® management API that enables you to read, write, convert and manipulate PowerPoint documents on the cloud. Its REST API can be used with any language: .NET, Java, PHP, Ruby, Rails, Python, jQuery and many more. You can also use it with any platform — web, desktop, mobile, and cloud. Aspose.Email CloudAspose.Email Cloud allows developers to provide capabilities of processing email messages in their applications. It’s true REST API that can be used with any language: .NET, Java, PHP, Ruby, Rails, Python, jQuery and many more. You can also use it with any platform — web, desktop, mobile, and cloud. Aspose.BarCode CloudAspose.BarCode Cloud allows developers to quickly and easily add barcode generation and recognition functionality to their applications in the cloud. Its true REST API can be used with any language: .NET, Java, PHP, Ruby, Rails, Python, jQuery and many more. You can use it with any platform — web, desktop, mobile, and cloud. Aspose.Imaging CloudAspose.Imaging Cloud is an image manipulation & conversion API to allow developers to manipulate & convert image in their applications. It’s true REST API that can be used with any language: .NET, Java, PHP, Ruby, Python, JQuery and many more. You can also use it with any platform -- web, desktop, mobile, and cloud. Aspose.Tasks CloudAspose.Tasks Cloud is a REST API for manipulating Microsoft Project documents and project data including Tasks, Resources, Task links and Assignments in the cloud. It is a true REST API that can be used with any language: .NET, Java, PHP, Ruby, Rails, Python, jQuery and many more. Aspose.OCR CloudAspose.OCR Cloud is a character recognition API to allow developers to add OCR functionality in their applications. Its true REST API that can be used with any language: .NET, Java, PHP, Ruby, Rails, Python, jQuery and many more. You can also use it with any platform — web, desktop, mobile, and cloud. Aspose.OMR CloudAspose.OMR Cloud is a REST API that enables the developers to easily add Optical Mark Recognition functionality to their applications. The API allows to read human-marked data from scans or photos of document forms such as surveys & questionnaires. Aspose.HTML CloudAspose.HTML Cloud is a true REST API that enables you to perform a wide range of file processing operations including creation, manipulation, conversion and rendering of HTML file in the cloud. It also supports HTML conversion to fixed layout document formats. Aspose.Video CloudAspose.Video Cloud is a true REST API which allows you to edit video file properties such as FPS, aspect ratio and resolution. Besides files manipulation, it also enables you to convert the video to different supported formats and also re-encode it with the different video codecs. Aspose.Storage CloudAspose.Storage Cloud Product family offers a collection of language specific SDKs developed on top of Cloud REST API where it enables you to perform various storage related operations including Folders and Files management. The SDKs are flexible enough, as they allow you to employ your own cloud storage or any other 3rd party storage services. Develop high performance apps to Create, Edit, Convert or Print Word document formats, using our REST APIs. Aspose.WordsCloud for cURLREST API providing features to Create, Edit or Convert Word documents (20+ file formats). Use on anyÂ platform which is capable of calling REST APIs. Aspose.WordsCloud SDK for .NETCreate, Edit or Convert Word documents using Aspose.Words Cloud SDK for .NET on any platform, that is capable of calling REST APIs. Aspose.WordsCloud SDK for JavaPlatform Independent Java Cloud SDK offering features to Create, Edit or Transform Word documents to DOC, DOCX, XPS, TIFF, PDF, HTML, SWF, PCL, raster images (JPEG, GIF, PNG and TIFF), Vector Images. Aspose.WordsCloud SDK for PHPPlatform IndependentÂ Cloud SDK for PHP to Create, Edit or Convert Word documents in the Cloud. 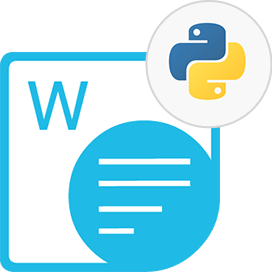 Aspose.WordsCloud SDK for PythonA Python wrapper around Aspose.Words Cloud API providing the capabilities to Create, Edit or Convert Word documents. 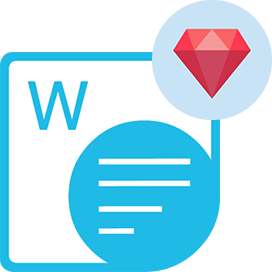 Aspose.WordsCloud SDK for RubyTake benefit of Cloud features and Platform independence capabilities of Ruby language to Create, Edit or Convert Word documents. Aspose.WordsCloud SDK for Node.jsGet the leverage to Create, Edit or Convert Word documents using Aspose.Words Cloud SDK for Node.js on any platform. Develop high performance apps to Create, Edit or Convert PDF file formats, using our REST APIs. Aspose.PDFCloud for cURLPlatform and Storage independence capabilities for the Manipulation and Creation of PDF documents. Use any language or any platform as per your preference to accomplish your requirements. Send REST API calls to fulfill your requirements. Aspose.PDFCloud SDK for .NET Run it Everywhere. No software download required. Create, Manipulate, Convert or Sign PDF documents using Aspose.PDF Cloud SDK on any platform, that is capable of calling REST APIs. Aspose.PDFCloud SDK for JavaPlatform independence to Create, Manipulate, Convert or Sign PDF documents using Aspose.PDF Cloud SDK on any platform, that is capable of calling REST APIs. Aspose.PDFCloud SDK for PHPAspose.Pdf Cloud SDK for PHP enables you to Create, Manipulate, Convert or Sign PDF documents on any platform, that is capable of calling REST APIs. Aspose.PDFCloud SDK for AndroidThe power of Cloud SDK and leverage of platform independence, enables you to Create, Manipulate, Convert or Sign PDF documents in Android Mobile Apps, capable of calling REST APIs. 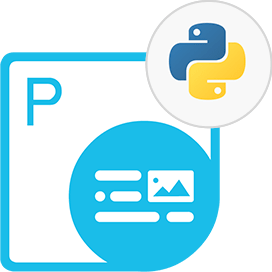 Aspose.PDFCloud SDK for Python Use Python language to Create, Manipulate, Convert or Sign PDF documents using Aspose.PDF Cloud SDK for Python on any platform, that is capable of calling REST APIs. Aspose.PDFCloud SDK for Ruby No software download required for PDF files Creation, Manipulation, Encryption and conversion to various supported formats including HTML, Word, PPT, XLS etc on any platform, that is capable of calling REST APIs. Aspose.PDFCloud SDK for Node.jsYour favorite Node.js language providing you capabilities to Create, Manipulate, Convert or Sign PDF documents. Our Aspose.PDF Cloud SDK for Node.js can be used on any platform, that is capable of calling REST APIs. 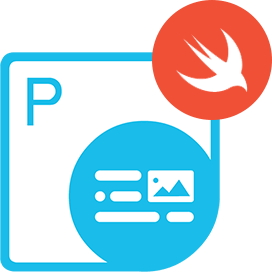 Aspose.PDFCloud SDK for SwiftSwiftly create applications providing the capabilities to Create, Manipulate, Convert or Sign PDF documents. Take benefit of Platform independence and powers of Cloud. 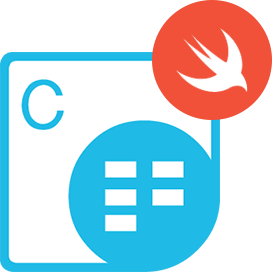 Start using Aspose.PDF Cloud SDK for Swift on any platform, that is capable of calling REST APIs. Aspose.PDFCloud SDK for GoCreate or Manipulate existing PDF files using Cloud SDK for Go language. Manipulate Text, Annotations, Watermarks, Signatures, Bookmarks, Stamps, Form Fields, Images, Hyperlinks and Attachments using simple Cloud calls. Develop efficient applications to Create, Edit, Convert or Render Excel spreadsheets, using our REST APIs. Deliver faster apps to Create, Edit or Convert Outlook Email file formats and popular network protocols, using our REST APIs. Aspose.Email Cloud for cURLRead, write, manipulate and export Email messages to MSG, EML and MHT formats on any Web, Desktop, Mobile or Cloud platform. Use cURL calls to accomplish all your email management and manipulation requirements. Aspose.Email Cloud SDK for .NETRun it everywhere. Any .NET application on any Platform that is capable of calling REST APIs can use this SDK for Email message creation and manipulation. Aspose.Email Cloud SDK for PHPEmail Messages manipulation, creation and conversion SDK for PHP applications. Use it on any Platform capable of calling REST APIs. Aspose.Email Cloud SDK for PythonNo Software download required to take full benefit of our Cloud SDK for Python applications. Develop your applications using Python using our SDK and run on any Platform capable of calling REST APIs. A true platform independent SDK for Email messages creation, manipulation and conversion to supported formats. Aspose.Email Cloud SDK for RubyA Ruby based SDK which enables developers to take full benefit of our Cloud Rest APIs for Email messages creation, editing and conversion on any Platform capable of calling REST Apis. Aspose.Email Cloud SDK for Node.jsTake the leverage of Email messages creation, manipulation and conversion features in Cloud using our Cloud SDK for Node.js based applications. The SDK is capable of creating, editing, converting Email messages to various supported formats. Deliver high performance apps to Create, Edit or Convert PowerPoint Presentation files, using our REST APIs. Aspose.Slides Cloud for cURLRead, write, manipulate and export Microsoft PowerPoint presentations to HTML, PDF and image formats on any Web, Desktop, Mobile or Cloud platform. Aspose.Slides Cloud SDK for .NETNo Software download required. Run it everywhere on any platform that is capable of calling REST APIs and get the power to Create, Manipulate or Transform PowerPoint presentations. Aspose.Slides Cloud SDK for JavaEnjoy Platform independence capabilities of Java and the power of Cloud computing, and get started with Creation, Read, Manipulation and Transformation of Microsoft PowerPoint presentations. Aspose.Slides Cloud SDK for PHPPlatform independent capabilities to Create & Manipulate PowerPoint presentations. Take benefit of our comprehensive SDK to Create, Manipulate and Transform Microsoft PowerPoint presentations on Web, Desktop, Mobile and Cloud platform..
Aspose.Slides Cloud SDK for PythonUse Python language to Create, Manipulate, Convert PowerPoint Presentations using Aspose.Slides Cloud SDK for Python on any platform, that is capable of calling REST APIs. Aspose.Slides Cloud SDK for Node.jsNo software download required. Take benefit of our Platform independent capabilities to Create, Manipulate and Transform Microsoft PowerPoint presentations to industry leading formats including PDF, XPS, HTML, PDF/A, JPEG, PNG etc. Aspose.Slides Cloud SDK for Go Split, Merge, Copy, Delete, Add New Slide, Move Slides, Get Slides Count, Delete slide background, get Color Scheme, Aspect Ratio, Get Comments, Extract or even Manipulate elements of PowerPoint Presentation using Cloud SDK for Go Language. Deliver faster apps to Create, Draw, Manipulate or Convert image file formats, using our REST APIs. Aspose.Imaging Cloud for cURLNo Software download required. Forget about platform, just send cURL calls to Manipulate or Convert images in any type of application. Aspose.Imaging Cloud SDK for .NETPlatform independent capabilities to Edit, Create, Compare or Convert Images using Aspose.Imaging Cloud SDK for .NET. Use this SDK for Image AI on any platform that is capable of calling REST APIs. Aspose.Imaging Cloud SDK for JavaNo Software download required. Get the power of Image AI and Image manipulation for Edit, Compare and Convert operations using Java language on any platform that is capable of calling REST APIs. 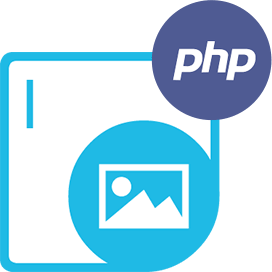 Aspose.Imaging Cloud SDK for PHPPHP Cloud SDK to Manipulate, Convert, Transform or Search Images. Also perform Image Resize, Crop, Rotate Images in the Cloud. Aspose.Imaging Cloud SDK for AndroidThe power of Cloud SDK and leverage of platform independence. Enabling you to Resize, Crop, Rotate or Flip along with advanced features such as image inspection, conversion & transformation features. Aspose.Imaging Cloud SDK for Node.jsManipulate, Transform or Search Images using Aspose.Imaging Cloud SDK for Node.js. The advance Artificial Intelligence based engine enables you to perform Reverse Image Search. 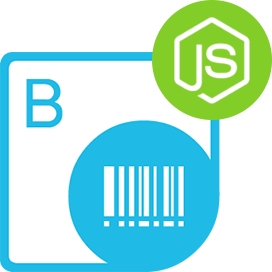 Develop high performance apps to generate or recognize 1D, 2D and postal barcodes, using our REST APIs. Create, Edit & Convert Microsoft Visio® documents on any platform without requiring Microsoft Visio. Aspose.DiagramCloud for cURLNo Software download required. Forget about the platform, just send cURL calls to Create, Edit and Convert Microsoft Visio documents in any application. Aspose.DiagramCloud SDK for .NETPlatform independent capabilities to Edit, Create, Compare or Convert Microsoft Visio documents using Aspose.Diagram Cloud SDK for .NET. Use this SDK for Visio files manipulation on any platform that is capable of calling REST APIs. Aspose.DiagramCloud SDK for JavaNo Software download required. Get the power to Create, Edit and Convert Microsoft Visio documents on any Platform without Microsoft Office Visio dependencies. Use our Java Cloud SDK on any platform that is capable of calling REST APIs. Aspose.DiagramCloud SDK for PHPPlatform and Storage independence capabilities to Manipulate or Create Microsoft Visio documents. Use your favorite PHP language on any platform, as per your preference to accomplish your requirements. Send REST API calls to fulfill your requirements. 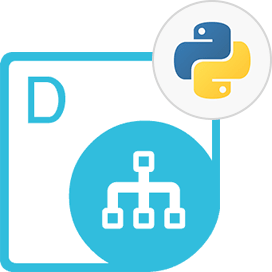 Aspose.DiagramCloud SDK for PythonCreate applications providing the capabilities to Create, Manipulate or Convert Microsoft Visio Diagrams. Platform independence and Cloud computing powers with Aspose.Diagram Cloud SDK for Python on any platform, that is capable of calling REST APIs. Aspose.DiagramCloud SDK for RubyTake the leverage of Visio Diagrams creation, manipulation and conversion features in Cloud using our Ruby Cloud SDK. A true platform independent SDK for Visio Diagrams creation, manipulation and conversion to supported formats. Aspose.DiagramCloud SDK for Node.jsYour favorite Node.js language providing you capabilities to Create, Manipulate, Convert Microsoft Visio documents. Aspose.Diagram Cloud SDK for Node.js can be used on any platform, capable of calling REST APIs. Develop high performance apps to Create, Edit or Convert Microsoft Project® document formats, using our REST APIs. Aspose.Tasks Cloud for cURLNo software download required. Get platform independence capabilities to manipulate Microsoft Project files and Transform them to Primavera, HTML, PDF, TXT, CSV, Excel, images & XML formats on any platform. Aspose.Tasks Cloud SDK for .NETRun it everywhere on any platform that is capable of calling REST APIs. Create, Manipulate and Transform Microsoft Project files to Primavera, HTML, PDF, TXT, CSV, Excel, images & XML formats. Aspose.Tasks Cloud SDK for PHPPHP SDK specifically developed to facilitate the Creation, Manipulation and Conversion of Microsoft Project (MPP documents) to Primavera, HTML, PDF, TXT, CSV, Excel, images & XML formats. Add OCR capabilities in your apps, using our REST APIs. 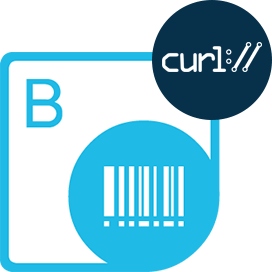 Aspose.OCR Cloud for cURLAspose.OCR Cloud for cURL provides optical character recognition and documents scanning capabilities in the cloud. Capabilities to recognize text in English, French and Spanish languages. Aspose.OCR Cloud SDK for .NET.NET Cloud SDK to perform OCR operations on numerious image formats. Get the capabilities of Optical character recognition either on a whole image or on a specific portion of the image. Add OMR capabilities in your apps, using our REST APIs. Develop high performance apps to Manipulate, Convert and Translate HTML files, using our true REST APIs. Aspose.HTML Cloud for cURLUse cURL commands to manipulate and convert HTML documents hosted on cloud. Use any language & platform which is capable of calling REST APIs..
Aspose.HTML Cloud SDK for .NETRun it everywhere on any supported platform that is capable of calling REST APIs. Use this SDK for HTML files creation, manipulation and conversion. Aspose.HTML Cloud SDK for JavaNo software download required. Nothing to install. Create, manipulate and transform HTML files using Aspose.HTML Cloud SDK for Java on any platform that is capable of calling REST APIs. 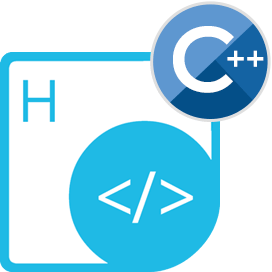 Aspose.HTML Cloud SDK for C++A complete SDK with source code offering the features to create, convert and manipulate HTML files. Take the benefits of Cloud storage and your preferred platform and start using Aspose.HTML Cloud SDK for C++. Aspose.HTML Cloud SDK for PHPA complete HTML files creation and manipulation SDK written in PHP. No additional software download or install required. Create an account on Aspose for Cloud and start using our amazing SDK for HTML files manipulation. Aspose.HTML Cloud SDK for AndroidCreate your stunning Android applications with the capabilities to create, manipulate and transform HTML files using Aspose.HTML Cloud SDK for Android. A simple SDK developed on top of Cloud REST API. Aspose.HTML Cloud SDK for PythonIts super easy to get started with our incredible SDK specifically created for Python developers. All you need to do is, create an account on Aspose for Cloud and start using this SDK for HTML files creation, manipulation and transformation to various supported formats. Aspose.HTML Cloud SDK for RubyAspose.HTML Cloud SDK for Ruby is one of our gems perfectly created for Ruby developers. Take the benefit of cloud storage and create, manipulate,transform HTML files stored in Cloud. Aspose.HTML Cloud SDK for Node.jsA complete HTML files manipulation SDK specifically developed for Node.js developers. Create an account on Aspose for Cloud, get your application SID & KEY and start using this SDK for HTML files creation & manipulation. 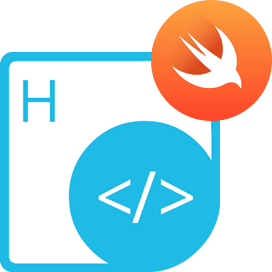 Aspose.HTML Cloud SDK for SwiftWhen using Aspose.HTML Cloud SDK for Swift, you can swiftly create stunning applications, providing the capabilities to Create, Manipulate and Convert HTML files available in Cloud storage. Aspose.HTML Cloud SDK for GoAn out of box solution offering the capabilities to Create, Manipulate and Transform HTML files using expressive, concise, clean, and efficient Go language. Use the SDK as it is, or customize it free of cost. Develop high performance apps to Manipulate and Convert Video files, using our true REST APIs. Perform various storage related operations including Folders and Files management in Cloud Applications, using our SDKs developed on top of REST APIs. Aspose.StorageCloud for cURLGet started with Cloud storage management where you can store, retrieve and manage Files & Folders using cURL commands, anywhere, any platform. Aspose.StorageCloud SDK for .NETRun it everywhere. No Software download required. Use Aspose.Storage Cloud SDK for .NET to quickly and effectively add documents storage ability to your .NET applications. Aspose.StorageCloud SDK for JavaPlatform independence approach to manage files and folders in Cloud storage using Aspose.Storage Cloud SDK for Java. Aspose.StorageCloud SDK for PHPAdd the ability to store, retrieve and manage files and folders in Cloud storage, using Aspose.Storage Cloud SDK for PHP on any platform capable of calling REST APIs. Aspose.StorageCloud SDK for PythonThe power of Cloud storage and the leverage of platform independence enables you to take full benefit of our Cloud Storage management SDK for Python applications. 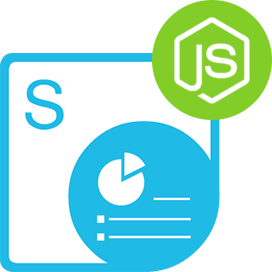 Aspose.StorageCloud SDK for RubyNo additional software download/install required for Cloud Storage management. Make REST API calls to upload, delete, download and retrieve files information in Ruby applications using Aspose.Storage Cloud SDK for Ruby.